We are proud to announce that Meadowview Community Association has selected Tinnelly Law Group as their associations’ legal counsel. 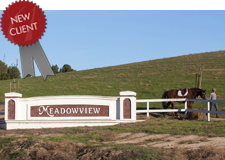 Meadowview is a planned community of 900 homes situated over 1175 acres within the City of Temecula. Residents enjoy a beautiful 360 acre open meadow, clubhouse, two swimming pools, spa, tennis courts, basketball courts, an equestrian center, park and picnic area with tot lot, and an elaborate trail system that is enjoyed by bikers, walkers, runners, and equestrians, alike. Our HOA attorneys and staff look forward to working with Meadwoview’s Board and management.